A 60 peg sellout but due to conditions and poor fishing on the venue, a number of anglers failed to show. Conditions on the day were awful with driving rain all day and freezing temperatures. Needless to say, the weights were awful with only one angler catching a fish. 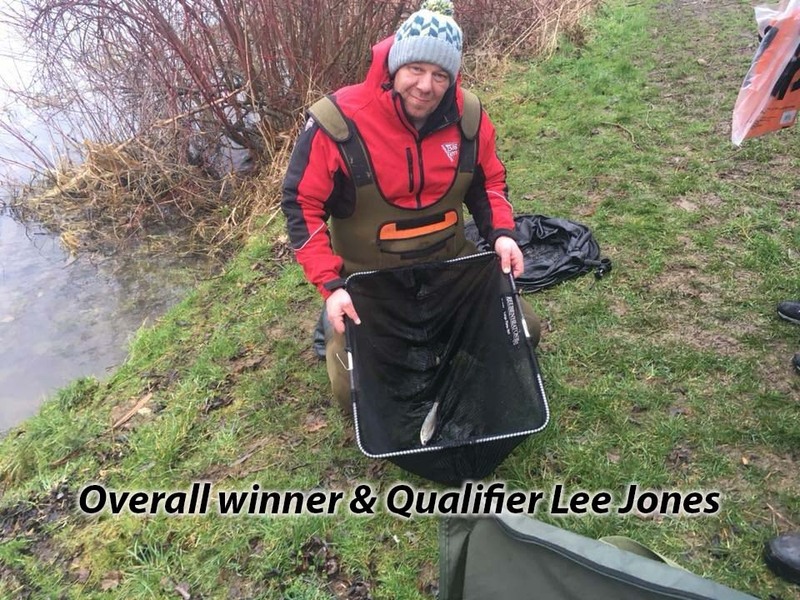 The overall winner was Lee Jones (Bag’em) who drew peg 44. Lee had one single bite on the feeder landing a single roach for just 3oz. That was enough to take him through to the final in March. The remainder of the field had to draw for zone winners places and section prizes. Clearly Ferry Meadows is a superb summer water but due to it’s size, winter fishing is not an option for future matches. Very disappointing match but our thanks to all that braved the conditions.